﻿ H10 Ocean Suites, Fuerteventura | FROM $74 - SAVE ON AGODA! "The hotel is lovely and there is so much choice at breakfast..."
Have a question for H10 Ocean Suites? "We will be staying at H10 hotels again!" 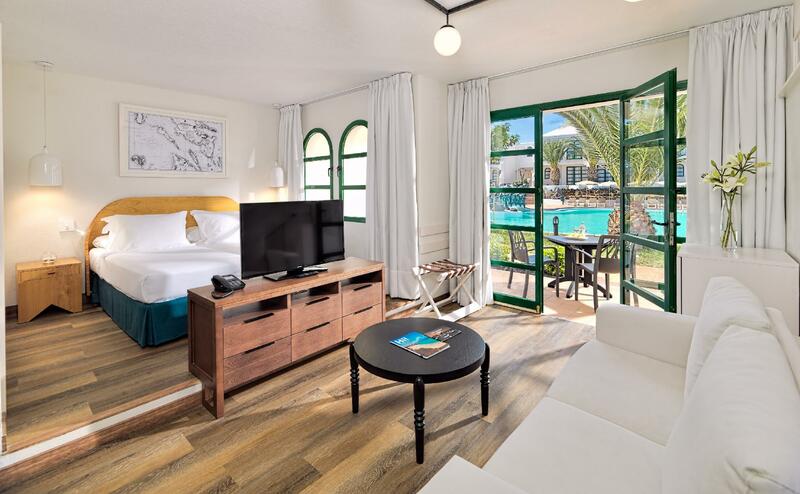 Built in 1980, H10 Ocean Suites is a distinct addition to Fuerteventura and a smart choice for travelers. From here, guests can enjoy easy access to all that the lively city has to offer. With its convenient location, the hotel offers easy access to the city's must-see destinations. 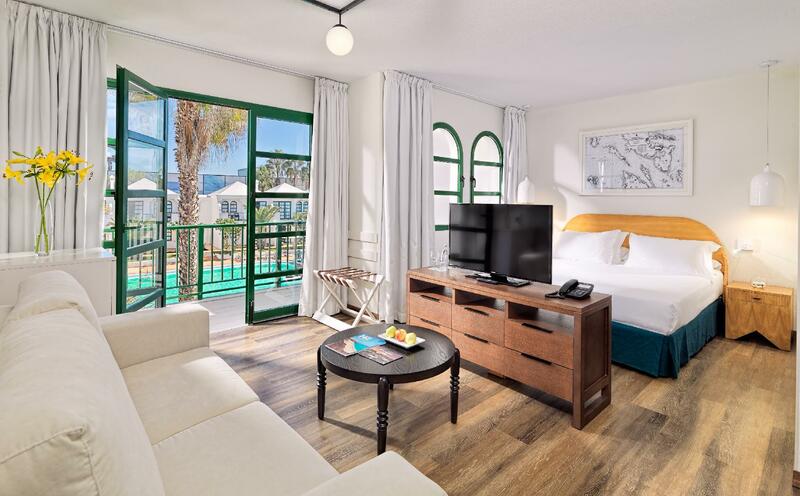 Offering hotel guests superior services and a broad range of amenities, H10 Ocean Suites is committed to ensuring that your stay is as comfortable as possible. While lodging at this wonderful property, guests can enjoy free Wi-Fi in all rooms, 24-hour front desk, luggage storage, Wi-Fi in public areas, restaurant. The ambiance of H10 Ocean Suites is reflected in every guestroom. 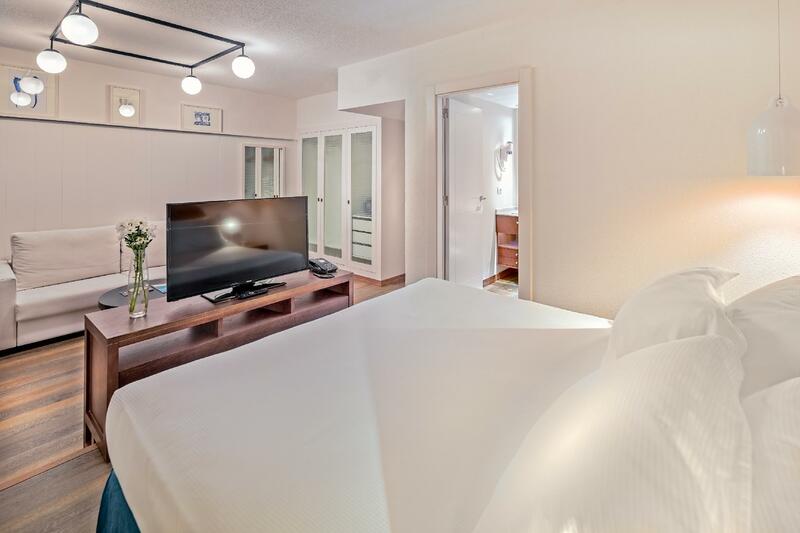 television LCD/plasma screen, separate living room, internet access – wireless, internet access – wireless (complimentary), air conditioning are just some of the facilities that can be found throughout the property. The hotel's recreational facilities, which include outdoor pool, pool (kids), tennis courts are designed for escape and relaxation. Enjoy unparalleled services and a truly prestigious address at the H10 Ocean Suites. "It's a 10min walk which is lovely (along the shops)." We have just returned from a week's holiday and stayed at Ocean Suites on a bed and breakfast rate. The hotel is lovely and there is so much choice at breakfast - it's fantastic. The facilities are brilliant with a couple of pool bars, tennis courts (one of our racquets was a bit dodgy) and an energized animation team. I was really impressed with the staff as you can take part in yoga, Pilates, games etc throughout the day. Only slight grumble was that reception was slow with check-ins. They almost need separate lines for guests and people checking in and out. Wifi only in reception but holiday is nice without interruptions! Location is fab, you wouldn't want to be all-inclusive as the food is incredible. We have some stunning dinners around the beach / harbour. It's a 10min walk which is lovely (along the shops). We would also recommend getting a hire car for a couple of days to explore the island and also booking the buggy tour...we hired the huge black buggies rather than the smaller yellow ones. We will be staying at H10 hotels again!